This Blueberry Dump Cake is the most delicious and easiest 3-ingredient dessert you will ever make! Sweet blueberries are baked with a scrumptious cobbler topping. Top it with ice cream and a to-die-for blueberry sauce for an easy dessert that is perfect for any occasion! Blueberry – made with blueberry pie filling. 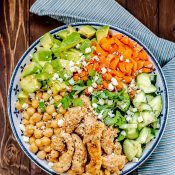 This recipe is an example. Cherry – made with cherry pie filling. Apple – made with apple pie filling. Peach – made with peach pie filling. 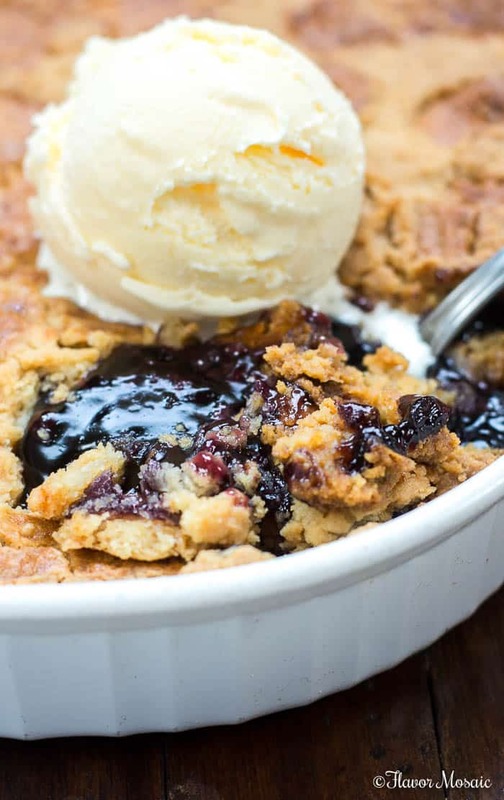 What Makes This Blueberry Dump Cake Recipe Work? Tried and True Recipe. This Blueberry Dump Cake recipe is a tried and true recipe that has been made many times. Easy. 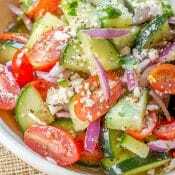 It is a VERY easy recipe that is difficult to mess up. Step by Step Instructions. Detailed step-by-step instructions are included to make it as easy as possible to follow. Step by Step Photos. 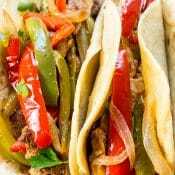 In addition to the step by step instructions, photos of every step are included in this recipe. Video. 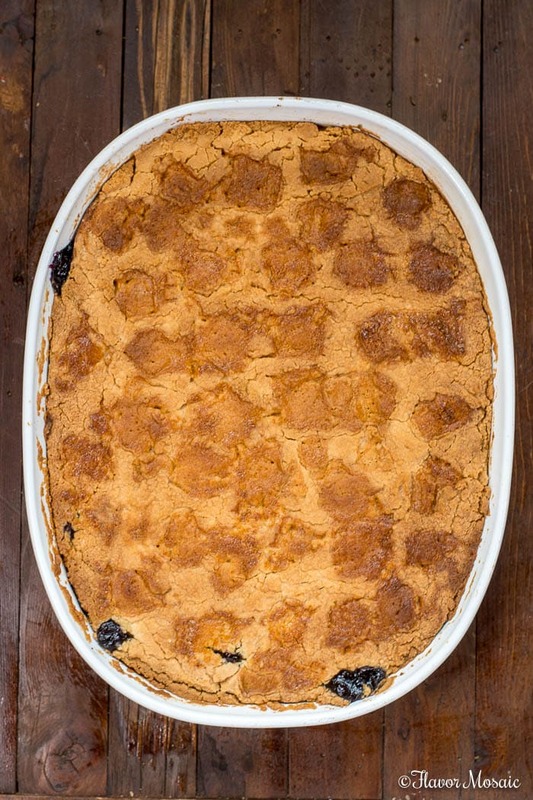 A video is also included so you can watch the two this Blueberry Dump Cake is made. Tips. Lastly, this recipe includes tips for success and serving suggestions for how to top the Blueberry Dump Cake. 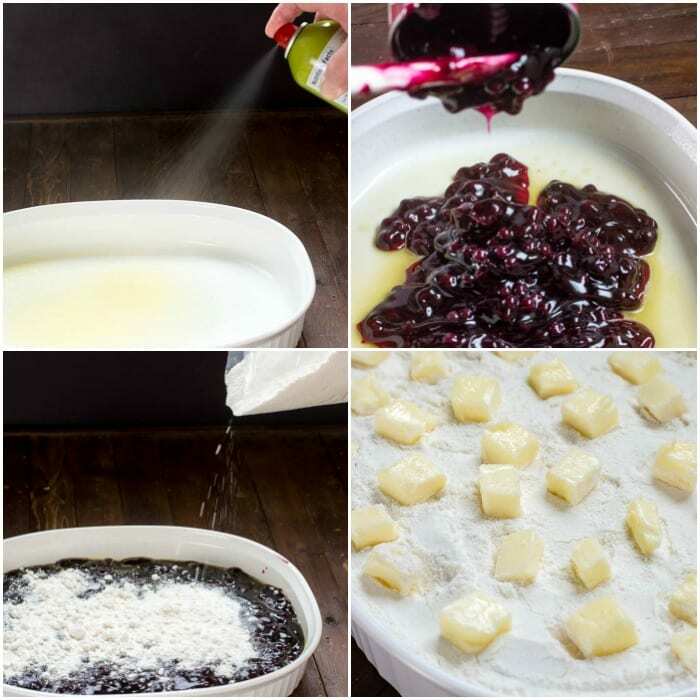 Blueberry Sauce Topping. In addition to the basic cake recipe, a simple recipe for a blueberry sauce to top the Blueberry Dump Cake and ice cream is included. 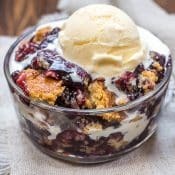 What Ingredients Do I Need To Make Blueberry Dump Cake? 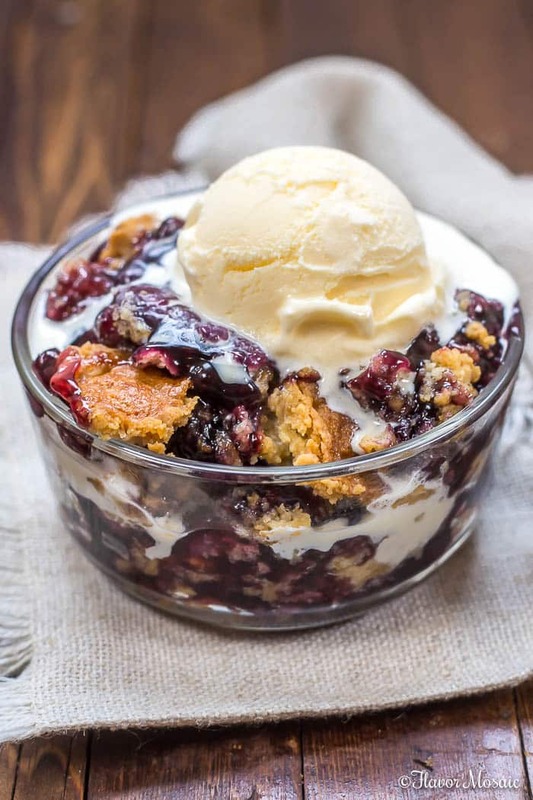 How To Make Blueberry Dump Cake? Open the can of blueberry pie filling and dump all the pie filling into the baking dish. Spread out so it covers the bottom of the dish evenly. Open a box of yellow cake mix and sprinkle the entire bag of the boxed cake mix into the same baking dish on top of the blueberry filling. Spread out cake mix evenly over the top of the blueberries. Unwrap the stick of butter, cut into about 24 pies and place the pieces all over the top of the cake mix. Bake in a 350-degree oven for 45-minutes until the Blueberry dump cake is golden brown and the blueberry filling is bubbling. Top with vanilla ice cream, whipped cream, and/or blueberry sauce. How Long Do I Bake The Blueberry Dump Cake? Bake the Blueberry Dump cake in a preheated 350-degree oven for about 45 minutes. How Do I Know When The Blueberry Dump Cake is Done? The Blueberry Dump Cake is done when the topping is a golden brown and the blueberry filling is bubbling. 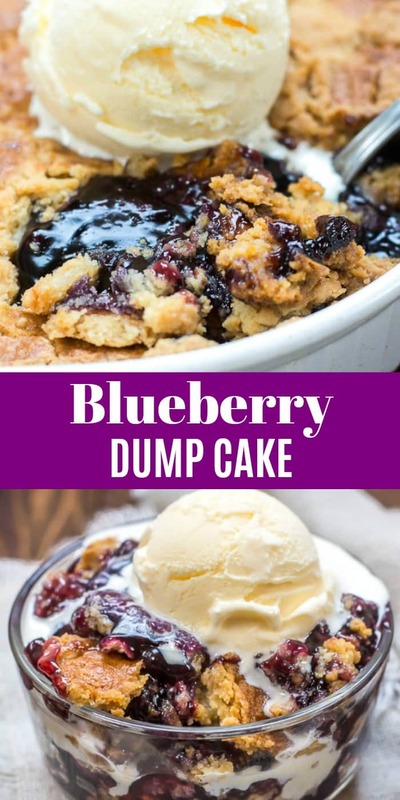 What To Serve With Blueberry Dump Cake? 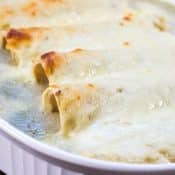 How To Make Blueberry Sauce for A Topping? 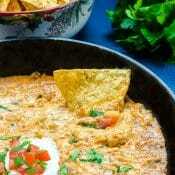 In a medium saucepan, mix the sugar, cornstarch, and water. Bring to a boil. 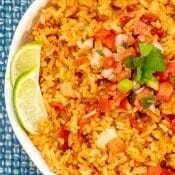 Stirring constantly, cook 3 to 4 minutes. Mix in the remaining 1 cup blueberries. Reduce heat, and simmer 10 minutes, until the blueberries burst. Stir in the butter, and pour over the Blueberry Dump Cake. Can I Refrigerate Leftover Blueberry Dump Cake? Yes. If you have any Blueberry Dump Cake leftover, cover and refrigerate up to 3 days. 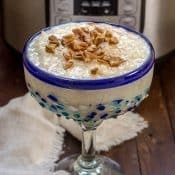 Can I Make Blueberry Dump Cake In A Crock Pot or Slow Cooker? Yes. It is basically the same as above, except for the cooking method. 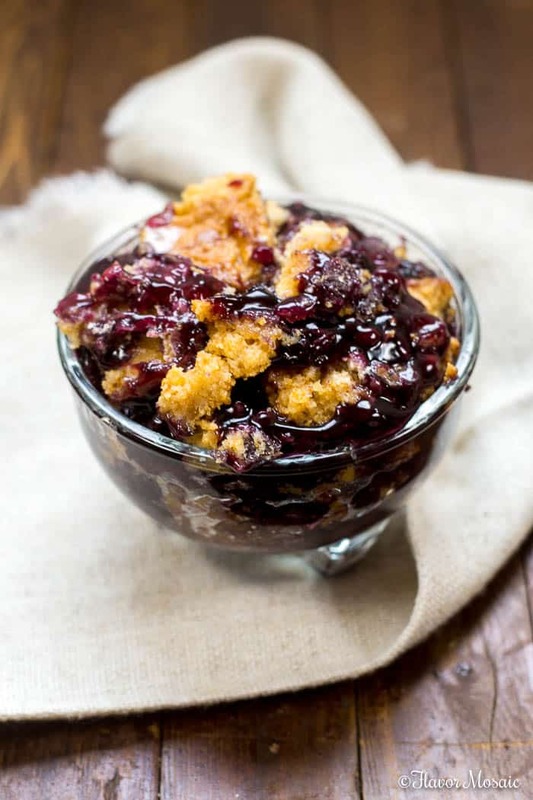 Follow the instructions below to cook the Blueberry Dump Cake in a Crock Pot or slow cooker. Spoon the blueberry pie filling into the bottom of the slow cooker. Sprinkle the cake mix over the blueberry pie filling. Place about 24 little cubes of butter all over the top of the cake mix. Don’t expect it to be a regular cake. It will be more like a cobbler. 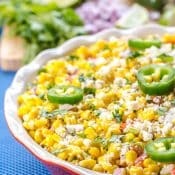 Use a 9×13 baking pan. Don’t switch out pans like you do with a regular cake. For example, it won’t work in a bundt pan. Cover as much of the cake mix as possible with butter. Cut the butter into tiny pieces, approximately 24 pieces. Don’t stir the ingredients. Follow the instructions as written. Watch the Blueberry dump cake carefully while it bakes. Check it at about 40 minutes. The 45-minute time is a guide. Different ovens cook differently. It is possible it may be done in 40 minutes or it might take 50 minutes. As stated above, when the topping is golden brown and the blueberry filling is bubbling, then it is done. Peach Dump Cake – from I Am A HoneyBee – a lazy cake made with canned peaches, with a dash of cinnamon and vanilla. Apple Dump Cake – from Finding Zest – this delicious apple dump cake is made with fresh apples and is so simple and yet loaded with flavor! 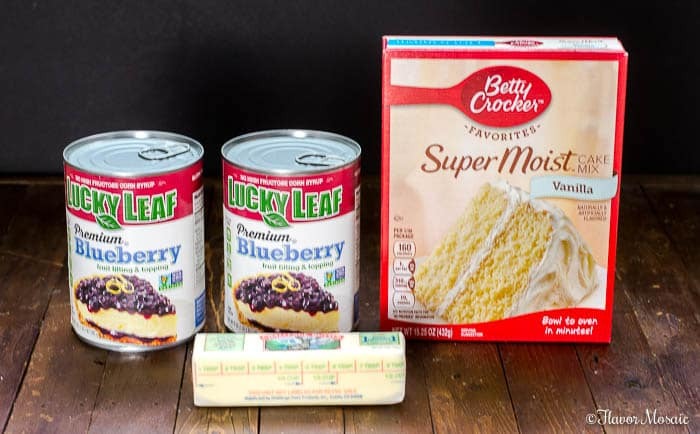 Cherry Dump Cake – from One Dish Kitchen – Simply “dump” a jar of Maraschino Cherries and cherry pie filling in a baking dish, top with boxed cake mix, dot with butter and bake. Sinfully delicious! Strawberry Dump Cake – from Cookie Dough and Oven Mitt – with strawberry pie filling and mandarin oranges, this simple dump cake makes a perfect spring dessert! 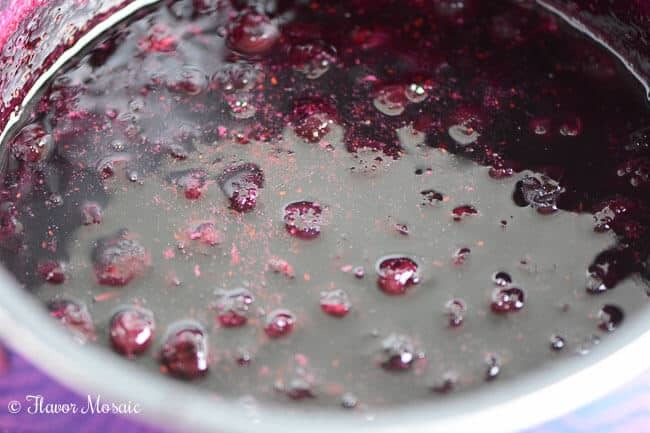 Blueberry Strawberry French Toast Casserole – is a delicious overnight casserole, made with French or Italian bread, fresh strawberries, and blueberries, and topped with a sweet blueberry sauce that will feed a crowd for breakfast or brunch. Blueberry Crumb Bars – Blueberry Crumb Bars, made with fresh or frozen blueberries, with a buttery crumb topping, are a perfect dessert for a summer potluck, picnic, or cookout. Glazed Lemon Blueberry Pound Cake – This Glazed Lemon Blueberry Pound Cake is a moist, luscious, buttery, lemon pound cake made with beautiful fresh blueberries throughout and glazed with a sweet, tangy lemon icing. 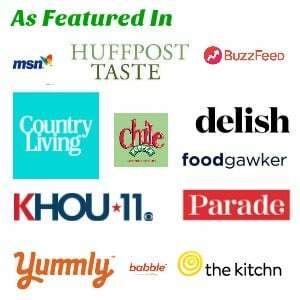 Jordan Marsh Blueberry Muffins – Jordan Marsh Legendary Blueberry Muffins are the same blueberry muffins that generations of families enjoyed for decades at the Jordan Marsh department stores in Boston and New England. Dump 2 (21-ounce) cans of blueberry pie filling into the 9x13 baking dish. Using a spatula, spread out the blueberry pie filling evenly over the bottom of the baking dish. Sprinkle the entire box of white or yellow cake mix evenly over the top of the blueberries. Place about 24 pieces of cold butter all over the top of the cake mix. Be sure to cover as much of the cake mix as possible with butter. Place the Blueberry Dump Cake into a preheated 350-degree oven and bake for about 45 minutes or until the topping is golden brown and the blueberry filling is bubbling. Let cool for 5 or 10 minutes and then top with your favorite topping, such as whipped cream, vanilla ice cream, or blueberry sauce. Check the cake after 40 minutes of cooking. Baking time could range from about 40 to 50 minutes.